Cygames isn’t a well known game company outside of Japan, but they’ve produced a number of startling hits already with mobile game titles like Rage of Bahamut, Shadowverse, and Granblue Fantasy. I was granted an opprotunity with speak with Nobuhiro Takenaka, producer at Cygames and David McCarthy, Director of Western Marketing (who also helped interpret for this interview!) about their future plans in the west and a little bit about their brand new anime original, Zombieland Saga. NTF: Please give our readers a quick rundown of Cygames! Takenaka: Originally the company was set up to make Social Games like Rage of Bahamut, but pretty soon after they set up the anime division to make anime based on those games . NTF: What led to the formation of the anime division? Takenaka: There are a lot of crossover between fans of social games and anime, we didn’t want to outsource that work to another company because we want to make our anime. 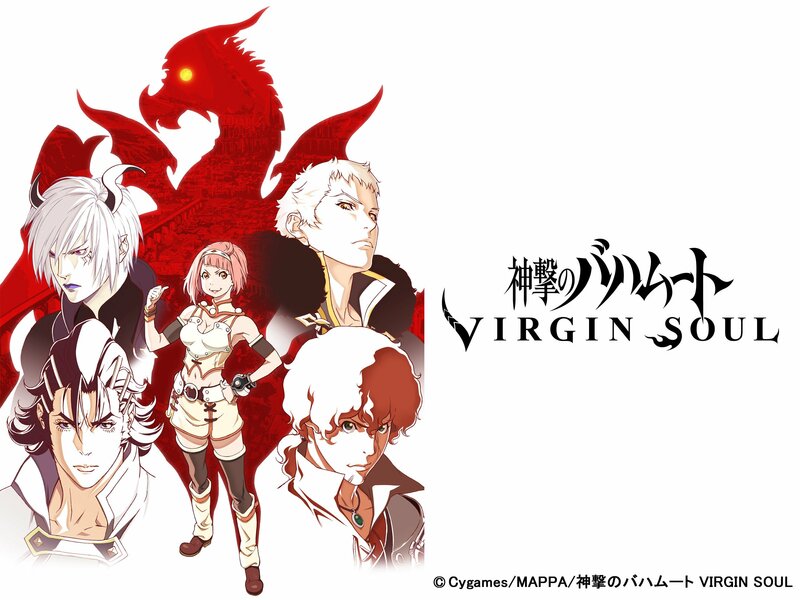 NTF: Speaking about that, the first anime based on your games was Rage of Bahamut with MAPPA. What started that collaboration? Takenaka: When we approached MAPPA at the time, they weren’t a very well known studio yet. Early on, they worked on Sakamichi no Apollon (Kids on the Slope) and Zankyou no Terror (Resonance of Terror). I was a fan of Apollon and we wanted them to make an anime of one of our titles. However, it’d probably be harder to ask them now since then they’ve become a popular and busy studio. But because we’ve grown with them we can continue to collaborate in the future. NTF: Cygames was a part of the anime committee for Bahamut and Yuri on Ice. With now this new title about zombies, how did you make these big genre shifts? Takenaka: We didn’t think too deeply about it. It was simply what do we want to make. It depended on the timing and availability of staff. David: Cygames is the kind of company that we’re not very marketing-led, the people at the top just tend to make the stuff they like. NTF: Can we talk about Umamusume? How did that happen? Takenaka: (Laughs) So basically someone made a demo of girls running around a track? It was that sort of thing. The anime came out before the game but they got some producers and it grew from that demo into what we have now. NTF: What made Umamusume different from your other anime projects was it was produced at P.A. Works, a different anime studio from your usual go-to at MAPPA. Why the change? Takenaka: So I use to work at PA Works and I wanted to work with the head of PA Works (Horikawa). We had them work on the 1st promo video. From there it moved on to a full fledged anime production and we continued to the relationship with PA Works. NTF: How were the Japanese fan reactions? NTF: I watched it and I enjoyed it very much, so hopes for a second season. Do you have a favorite Umamusume? Takenaka: Ah, that’s a hard one! I like everyone, but my favorite one visually would be Seiun Sky! As for more Umamusume, we do have OVAs in the works! NTF: Nice choice. I’m a fan of Silence Suzuka myself. Speaking of anime, I’ve noticed you guys went all out this for this year’s Anime Expo booth. Tell me a little bit about what you guys have to show this weekend. David: That’s one for me to answer (laugh) We did have a presence last year. This year we announced The Granblue console game. With the division I was in, we were mostly just promoting Shadowverse. This year we wanted to let people know we did a lot more than just that title. We do Granblue Fantasy, we do anime titles. NTF: There’s a fairly large Granblue following in the west. Takenaka: We’re aware of that since the game is available in English, especially at an event like this and they’re quite fanatical! Anime Expo is a great oppprotunity give people free swag, get cosplayers and people up on stage. Again, Cygames is not market-led, but we aim to make great content. We wanted to let people know that’s what we do. NTF: Sounds like you already have strong IPs. What does that mean for a new title like Zombieland Saga? Takenaka: Yeah, so games turn into anime, mangas turns into anime and so forth. For us, Zombieland Saga is the first kind as an anime original. It’s a bit of an unprecedented title. So when I presented it to the other divisions. “We’re not really sure if we can do anything with this” This is such an original take on zombies, we’re not really sure on how to adapt for other mediums yet. NTF: What are you hoping to achieve by making Zombieland Saga? Takenaka: Fundamentally, we just wanted to work with MAPPA and Otsuka-san (Otsuka Manabu) from MAPPA again. Takenaka: Blade Runner was a good opportunity to show off what we could do in terms of company branding. As the number of production staff increases, it’s definitely a possibility we’ll work on our own IP and other peoples’ IPs. NTF: Do you have a message for all the Cygames fans out here in the West? Takenaka: We’re hoping to produce much more content in the West. 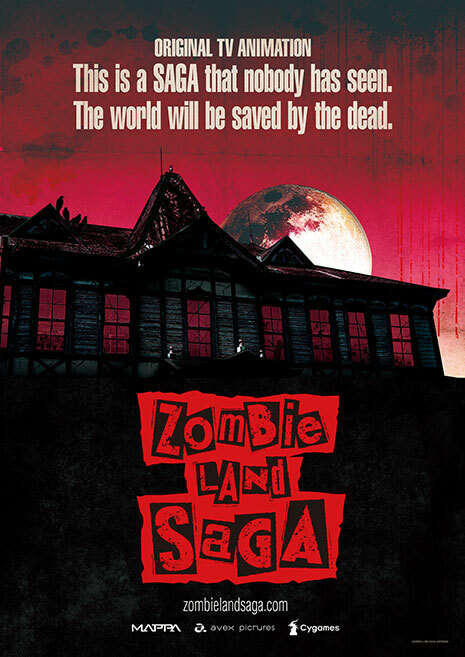 With Zombieland Saga, we’re really hope that it’s a new take on the Zombie genre so we hope you watch out for that and enjoy it. NTF: Last thing, favorite Zombie movie? Thank you to David McCarthy from Cygames again for the interview opportunity. Growing up with nothing but a Joystick and pack of Calorie Mate, he traversed the ever-shifting pop culture landscape in search of uncovering the growth of a now behemoth geek-centric industry.